6. Registration: Please click here to register online. (1) You may dress yourself casually. 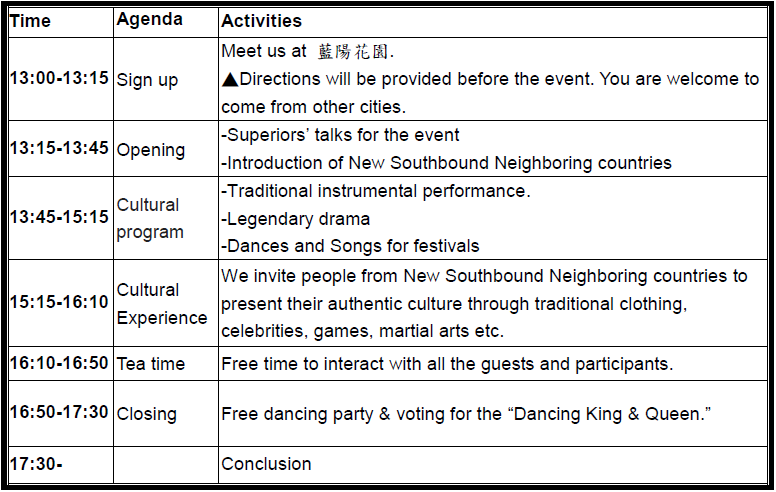 We will have a free dancing party and voting fun during the festival. (2) Completing the registration process doesn’t guarantee your attendance. Please wait for our response. Your confirmation will be sent to your Email before Oct. 9th. Thank you. (3) Transportation from your location to the event, is the responsibility of the guests. (4) We will match you with a host-family. Unexpected absence cannot be allowed. Please be responsible for your presence.